Do you equate money with prosperity and measure your prosperity by your financial position? You’re not alone. If money is your primary focus, you are missing several other yummy pieces of the prosperity pie! 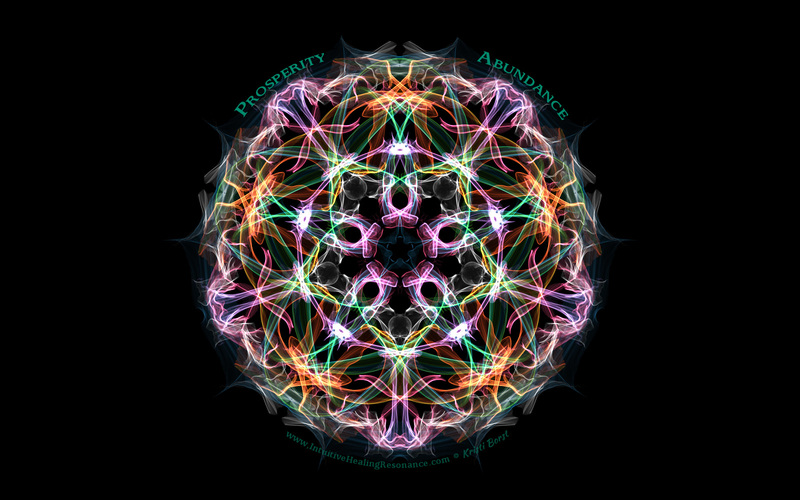 Assessing and expanding your current definition of prosperity is an important first step in creating a more powerful spiritual practice for abundance! It’s natural for us to focus on money because so much of our physical world is valued and driven by money. Yet, money is only one aspect of prosperity. 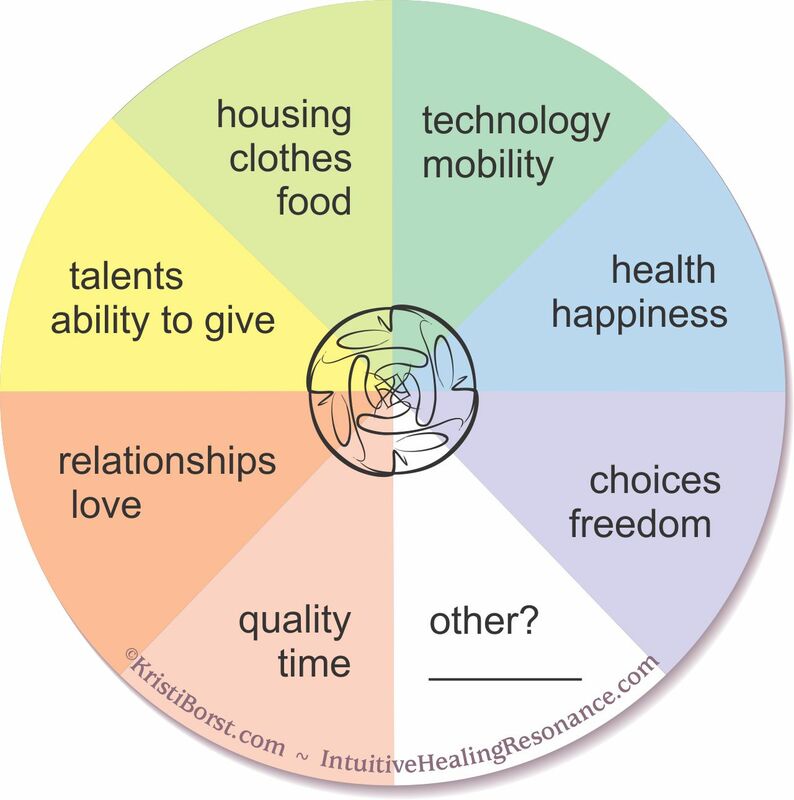 Consider these aspects of prosperity and abundance in your life beyond the obvious housing, clothing, and food: Technology and mobility; health and happiness; freedom and choices; quality time; love and relationships; talents, service, ability to give; other (you decide). Abundance IS – Make Note of It! Some of these things are naturally ours in great abundance! A great spiritual ritual that nurtures the awareness of abundance is keeping a daily gratitude journal. You don’t have to be a good writer; simple lists will do. After even a couple of days, you may be surprised at your growing sense of abundance! This isn’t a life-long sentence. Doing this for a couple of weeks can shift your perspective away from lack! Imagine the abundance and prosperity you’ve now recognized in your life as a platform beneath your feet! Celebrate prosperity and abundance, not only for yourself but for everyone! I’m sharing a set of powerful affirmations to break the perceptions and patterns of self-limitation and lack. You may call this a prayer but don’t reach outside of yourself for your power because it’s already there, breathing in your body, breathing in my body and connecting all living things. Some call it The Universe, others Spirit, Source, or God. Integrate and celebrate your unique expression of that I AM Power because that is something only YOU can do! You are special, each is special, all are special! of prosperity which I easily attract. are met before I even ask. calm and security, and my joy in giving. knowing there is plenty for us all. Even only using the last two paragraphs, regularly, will help set the foundation of abundance. Crystal grids are a great physical reminder to celebrate, invite, and amplify your prosperity. Again, it is you that holds the power to attract prosperity in YOUR life, not the crystals! Your intention and shifting of your vibration toward gratitude, receiving, and giving creates a more readily deliverable “address” for The Universe, Source, Spirit, God. I purchased this Prosperity Grid a number of years ago. It features Citrine in a heart-shaped cluster and as tumbled stones (success, abundance), Red Jasper (abundance of joy and energy), Green Aventurine (good luck, prosperity, and happiness). I’ve added my own tiny clear crystal points. The large clear crystal shown in the lower right is used as a pointer. I create a counter-clockwise spiral emanating from the grid. I imagine my time, talents, and treasures going out to the world and then imagine the flow of abundance returning back down the spiral to me. Sometimes, I may use the grid more like a wheel, moving back and forth across the “spokes” and back to center. Don’t set your grids to collect dust, interact with them! 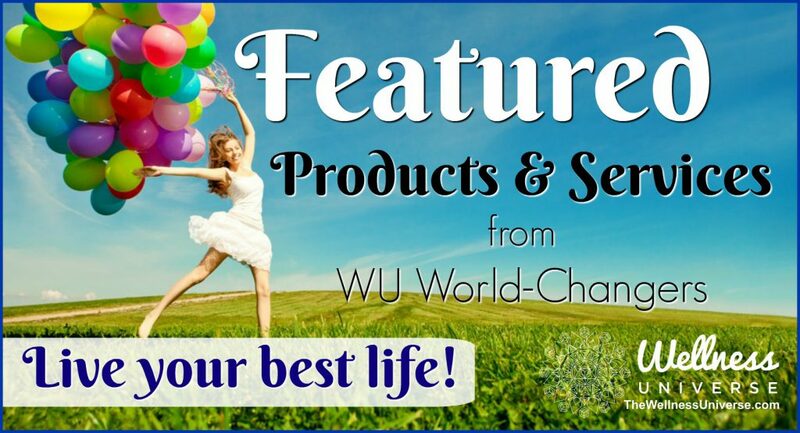 They help focus your attention and intention. Don’t get too hung up on the crystals and their properties. 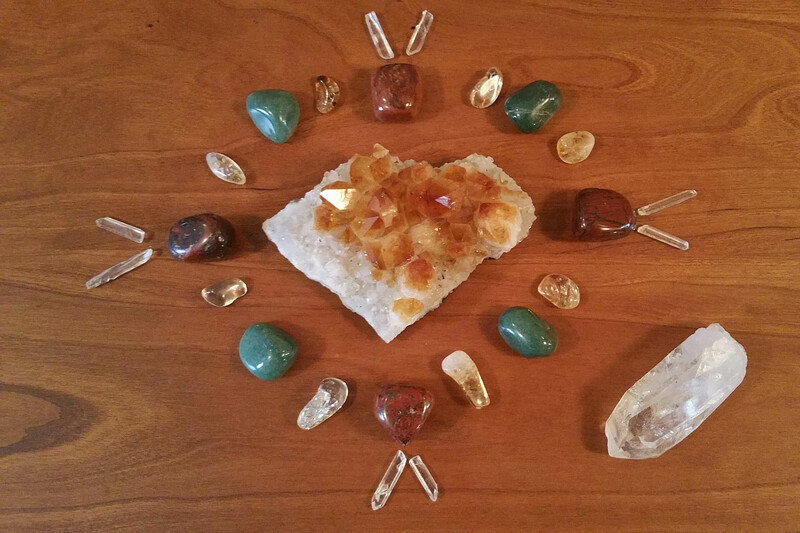 Buy and use crystals YOU love so you’ll want to interact with them! Be creative! If you like meditation, you may prefer a visual Prosperity Meditation! 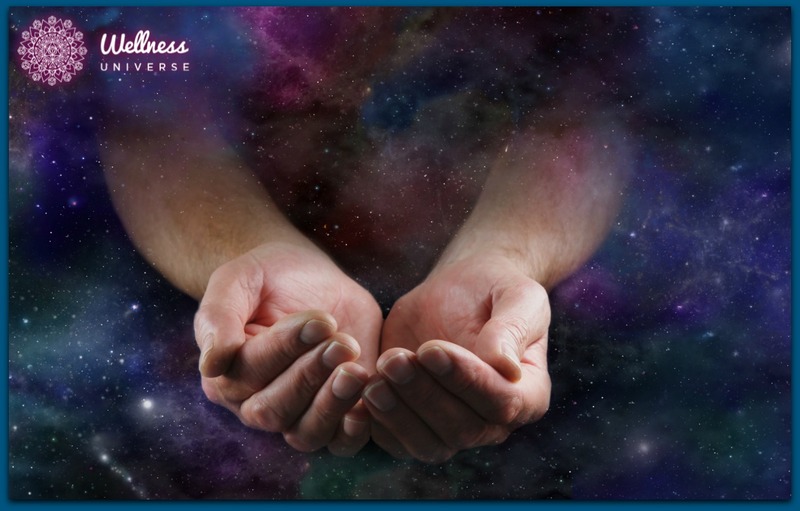 I’m including “Prosperity in Flow,” my “energy-in-form healing artwork,” an image I created to share with you in this article. Use its colors, symmetry, and movement to imagine The Universe, Source, Spirit, God creating pathways and connections for whatever you need to flow more naturally toward you. Interacting with high vibrational images can give you a lift in the middle of your work day! A common factor in each of these spiritual practices is your presence. We are most powerful when we are consciously present, in THE NOW. That is where we can see(ze) our choices! There could be opportunities and abundance to your left and to your right! If you are too busy looking back, regretting past mistakes, or projecting into the future in fear-based scenarios, you can easily miss the gifts being offered in the present! What’s in your heart (your intention) is key. If you are fearful of making a mistake, you have disconnected from your power! Since purchasing my prosperity grid kit, I’ve learned the “Citrine” may be heat-treated amethyst. Does that mean broken prosperity? NO! Grids, affirmations, images, they’re tools to help us focus, as we find our wings and learn to soar! Be the power behind the spiritual practice. As we engage with any type of spiritual practice or ritual, we fuel its success! The call to more abundance in your life begins within you. Stand assured that Love Is. Abundance Is. You are powerful and will create more and better as you become aware that you ARE creating your own life! BONUS: The more you look toward gratitude, love, peace; the more you get to live in gratitude, love, and peace. We are often hiding from our true selves and self-sabotaging our ability to BE. 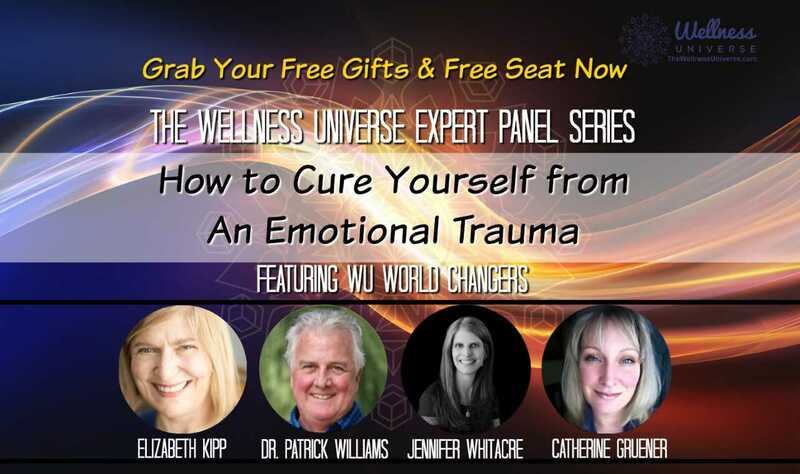 I help others escape “old stories” and expand their wellness and joy. I am here to assist; I invite you to come and visit me on my website. How did this article make you feel? Leave your comments for Kristi below. Please share this if you liked it. Thank you! A natural-born integrative healer, Kristi Borst is able to positively affect her clients’ mind body spirit emotions. She offers in-person individual, couples and group sessions in Wells, Maine and Topsfield, MA. Kristi also offers phone/skype distance quantum healing through heart-based connectivity.